OpenStack Cloud Computing Software now can be considered as a standard Cloud Computing Software, all the major Linux distributions are slowly adopting for OpenStack Cloud integration. Some of these have integrated into their distro with OpenStack, while others have chosen to create a distribution of OpenStack independent, which runs on Linux and uses KVM hypervisor, this lead to a paid support for the technical support. There are various add-ons which must be integrated with OpenStack Cloud Software to make the cloud really usable and one of these is the storage. Like the fellow market of Red Hat and Canonical, SUSE also seems to favor the storage of objects distributed to OpenStack based Cloud Computing Platform. We published a video guide to get OpenStack Private Cloud with DevStack and Red Hat’s approach to OpenStack Cloud Compute. Other object storages have had to adopt the distributed architectures, but Ceph is distributed from the beginning as distributed. Ceph project was created by Sage Weil for his PhD thesis at the University of California and its development was initially funded by the U.S. Department of Energy. The interesting thing about the Ceph object storage is that, one can stratify other layers above it, just as an user would run an application on top of an operating system. For example you can upload a file on Ceph distributed system, which is actually similar to the IBM GPFS, Red Hat Gluster or Oracle Lustre. The most important features of Ceph as with OpenStack Cloud software is, there are the block device and the gateway. The level comprising allows Ceph seems like a block storage and the gateway, Rados is a layer that emulates the controller of OpenStack Swift object storage, which is coupled with the Nova compute controller within OpenStack. SUSE Cloud, the OpenStack distribution is created by SUSE Linux, which was launched in August as a preview based on the OpenStack Essex release, including with some features of Ceph and the cloud-based version of SUSE Folsom have to wait until next year to get matured. The collaboration with Inktank this year has been made to provide business support to Ceph, which aims to ensure that the companies who will build cloud infrastructure based on SUSE Cloud, will have the support for all the features. As is the case in most of these support agreements, SUSE Linux is providing support for the first and second level, with Inktank that supporting layer 3. This Article Has Been Shared 5745 Times! 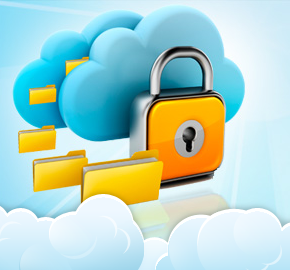 Cloud Security Tools checks the security in cloud environments, there are several tools available for free, users not necessarily have to buy expensive suites. Cite this article as: Abhishek Ghosh, "OpenStack Cloud : Now is the Turn of SUSE Linux," in The Customize Windows, November 29, 2012, April 26, 2019, https://thecustomizewindows.com/2012/11/openstack-cloud-now-is-the-turn-of-suse-linux/.